Whether you’re on the run, don’t have time to prepare a meal, or just want fresh and delicious prepared foods to go, Harris Teeter’s Fresh Foods is perfect for you! Our selections include delicious cakes, cupcakes and cookies, sliced-to-order deli meats and cheeses, delicious rotisserie chicken, fresh sandwiches, a wide selection of soups and salads, and party platters for any occasion. We offer a great selection of Decorated Cakes, Cupcakes, Message Cookies, or Variety Cakes to compliment any party. Whatever the event, let us create the centerpiece of your special celebration. We offer flavors and icings for you to choose from as well as sizes and personalized decorations and inscriptions. Let our trained and skilled Cake Decorators assist you in selecting the perfect cake for your event. Our associates can help you with the details of your cake and customize your special creation. A great meal isn’t complete until the bread is on the table. At Harris Teeter, we believe bread is more than just a dinnertime complement. It’s a topic of conversation! Our Breads are a beautiful expression of inviting flavors and aromas. Join us in the celebration of artistic textures and pleasing tastes. When it comes to artisan bread, the leader is La Brea Bakery, a hallmark at Harris Teeter’s Fresh Foods Market. By maintaining relentless commitment to Founder, Nancy Silverton’s original bread making practices and principals, La Brea Bakery changes the way people eat bread. Read more about our Artisan Breads. Enjoy the broadest selection of cheeses from around the world, continually evolving to taste! And what makes them specialty cheeses? They have one or more of the following exciting attributes: produced in limited volume, distinctive characteristics, unique, authentic, imported, artisan, farmstead, exotic, rare, or otherwise exceptional and delicious. 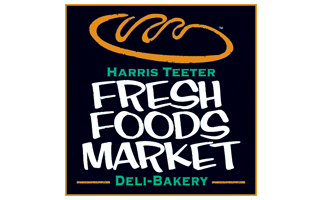 Stop by your local Harris Teeter and enjoy a fresh made sub or sandwich as you like it. We offer several different hot and cold subs with a variety of fresh meats, breads, cheeses and toppings. And don’t forget about our Made to Order Sub Club! Don't have time to wait in line? Save time with our online ordering available through our website and ht mobile.